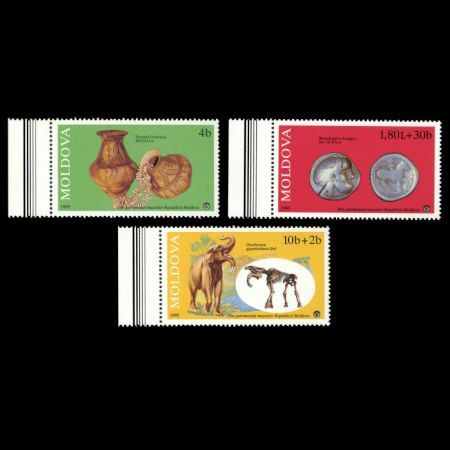 Moldova 1995 "Exhibits from the National Ethnographic Museum"
10b+2b Dinotherium(Deinotherium) gigantissimum, reconstruction and skeleton. 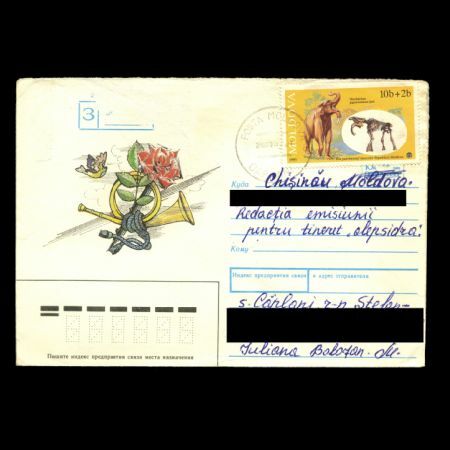 On April 6 1995, Post authority of Moldova issued a set of 3 stamps that shows some artifacts of the National Ethnographic museum. 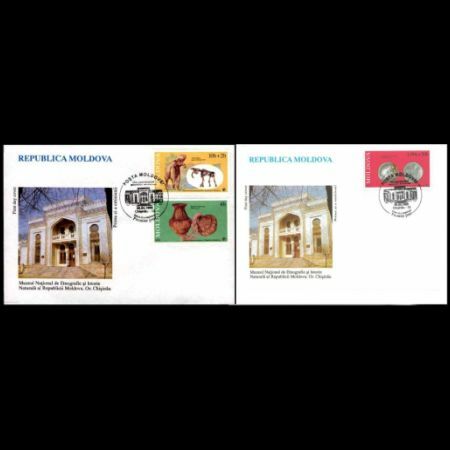 These stamps are represent some exponates of Museum of Ethnography and Nature is the first Moldavian museum. 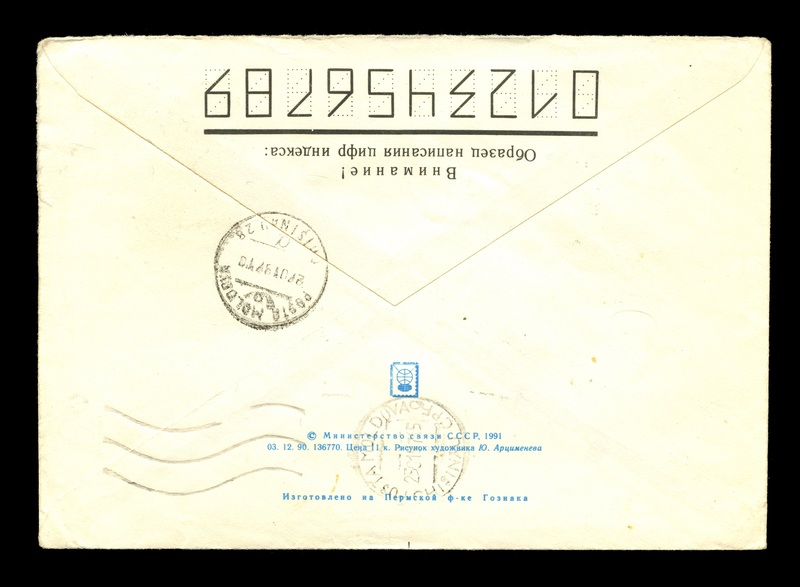 It was founded in 1889 by baron Steward (first, it was called "Zoological, Agricultural, and Handicraft Museum of Basarabia") and during the 20th century it used to be the laboratory for the local scientists: F. Ostermann, S. Miller, F. Porouchik, I. Sukhov, B. Taraboukhin, M. Pocoara and others. 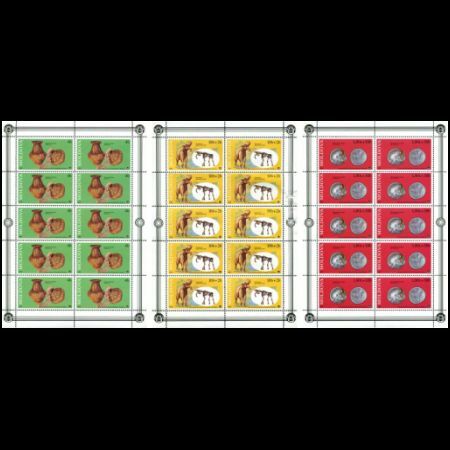 archaeological, ethnographical and numismatic collections. 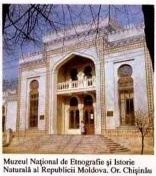 Among the thousand of Museum's exhibits there is set up the entire Dinoterium gigantisimus skeleton, as well as the famous archaeological treasures, Bessarabian carpets of the 19th century etc. 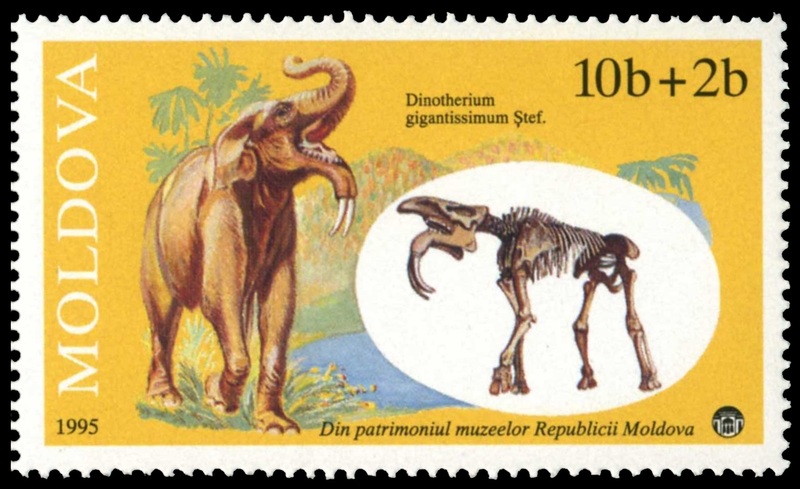 Museum's collections are periodically exhibited in the museums of Europe, America, Asia and Africa as the cultural heritage of the Republic of MoldovaStamp with a value of "10b +2b" depicted Dinotherium (Deinotherium) gigantissimum.The skeleton was found in 1966 near the village Pripiceni, Moldova. 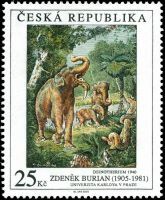 The first description of this animal was made by the scientist Grigorie Stefanescu (1836-1911). 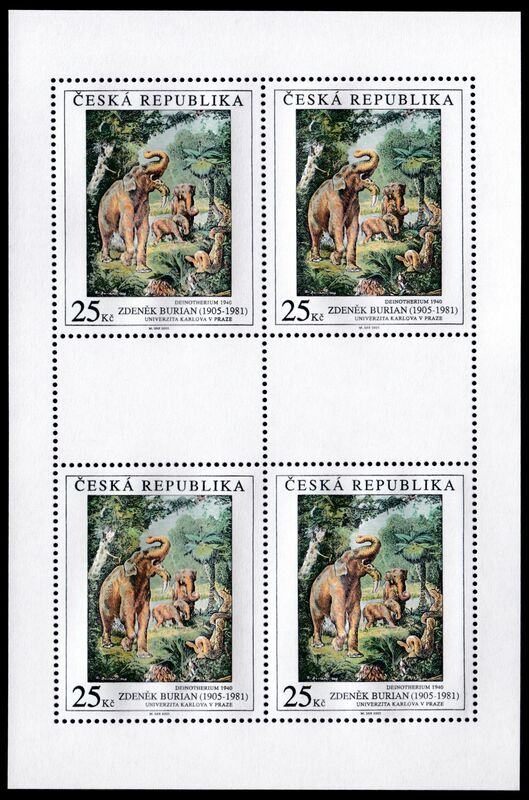 Reconstruction of Dinotherium at the left side of the stamp is after Zdenek Burian picture, that appeared on Czech stamp in 2005.